California legislators have been busy passing a rash of labor bills this year. The most significant is Senate Bill 3, signed into law on March 31, 2016, gradually increasing the statewide minimum wage until it reaches $15 in 2022. The new law’s purpose is to increase the stagnant wages of low-income workers. However worthy, the law ignores the root of the problem – regulatory policies that hinder the economic growth needed to support businesses so they can pay such wage increases. Additional new 2016 laws include thousands of pages covering “fair” pay, whistleblower protection, expansion of leave time, compensation for non-productive time, re-classification of independent contractors, and piece-rate compensation to name a few. In combination, these laws add significant risk, even for employers who try their best to keep up with the ever-changing rules. In practice, many of these rules decrease employees’ autonomy, flexibility, and their ability to move ahead by showing initiative. Established incentive based compensation like tipping, piece-rate pay and raises based on performance are discouraged by increased evaluation paperwork, litigation risk and higher cost of service from wage increases. This turns employees into robots who must adhere to State rules controlling every aspect of their work time. And minimum-wage workers who benefitted from tipping and commissions may actually have less hours and less take home pay in the end. 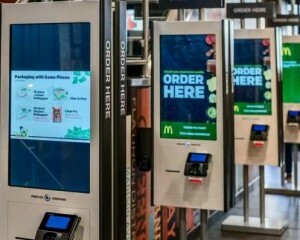 On the flipside, businesses are already considering replacing employees with robots to avoid paperwork and potential litigation while lowering payroll costs. According to an article in KCTV 5 News, May 17th, Wendy’s is rolling out touch screen technology to save money, and it’s in direct response to California’s minimum wage increases. This is only the beginning. Particularly problematic, the increase in minimum wage per the new law is the same for all communities in California regardless of their standard of living. This hurts workers’ job prospects in counties that are already suffering with high unemployment and/or slow job growth rates. So what does this mean for Ventura County? Local economists Matthew Fienup, (Cal Lutheran University Center for Economic Research and Forecasting) and Mark Schniepp (California Economic Forecast) have been reporting on the slow job growth numbers for Ventura County as compared with other California counties. According to the California Economic Development (EDD) Labor Market Review for April, 2016, Ventura County job growth was called out as dead last of the 10 large metropolitan areas. Our County continues to have a dismal 1.4% rate of increase, compared to San Francisco and San Jose at 4.1% and Fresno at 3.8%. The April report also shows unemployment rates in California ranging from 2.9% in San Mateo County up to 20% in Imperial County. Ventura County is at 4.8%, just under the national rate of 5%. But unemployment rates do not take into account persons who have dropped out of the labor force. 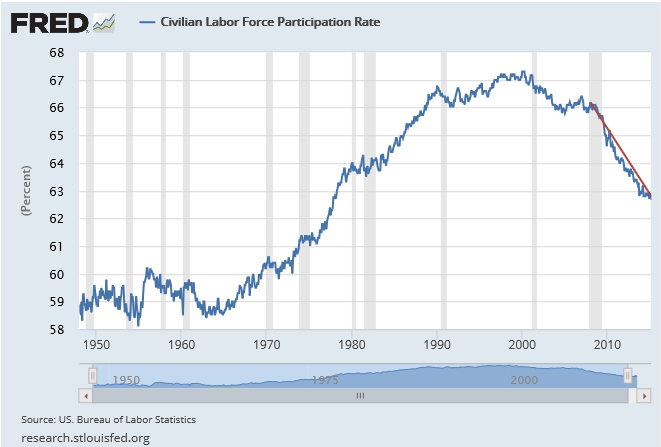 That is reflected in the Labor Force Participation Rate (LFPR) which is the percentage of the civilian, non-institutionalized population that is working or looking for work. According to the U.S. Bureau of Labor Statistics, the LFPR steadily climbed 9 percentage points over 50 years (from around 58% in 1950 to a peak of over 67% in 2000). And then in just 16 years it declined over 5 points to 62.8% with the most rapid rate of decline after 2009. While this is astounding, of particular concern is that the Participation Rate for California youth, ages 16 to 24, has declined the most. According to the California EDD, from 2008 to 2016 the LFPR declined 8 percentage points for this age group.The jury is out as to whether these new laws, including across the board wage increases, will actually lead to higher living standards and more buying power for low wage workers over time. But for youth and college graduates who are looking for opportunity over high starting wages, this is distressing. In a Pacific Coast Business Times opinion piece, June 2: “New labor rules may create permanent underclass of businesses”, Editor Henry Dubroff states: “…since 2004, the total number of U.S. small businesses has been in decline.” “…policy decisions… made by the last two administrations have not been able to break the cycle of declining numbers of small businesses, with real consequences to the economy”. Labor rules based on assumptions that employers conspire to take advantage of their workers do not represent the majority of companies in America. Such rules can be counter-productive for employees who are happy with their jobs and are looking for flexibility, opportunities for training and upward mobility. For labor laws to positively impact the workforce, there must be corresponding policies that decrease regulation, create new opportunities for companies to spur economic growth and encourage people to re-enter the labor market. Otherwise, the robotizing of our American workforce is sure to continue.